Long day, long post ahead. I’ll try and keep the commentary brief, for your sake, and mine as I have some important reading to get done before bedtime. 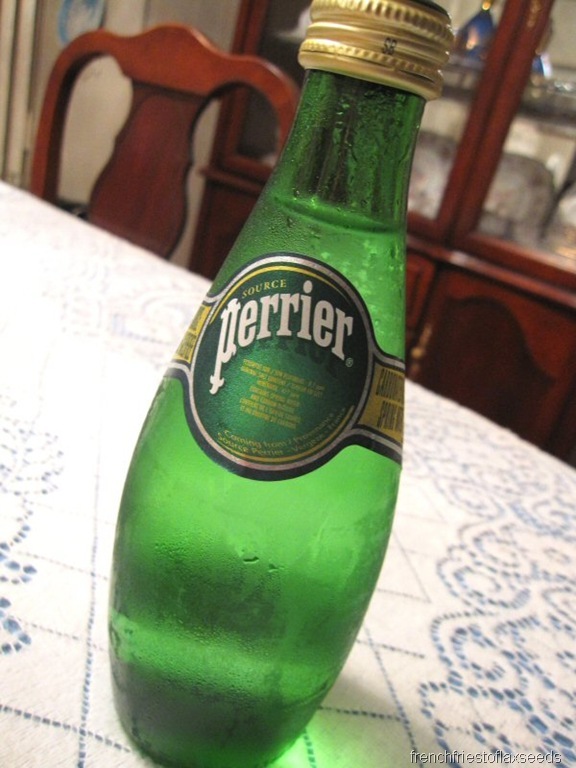 As our milk had gone bad, I decided to forgo my regular oatmeal or cereal for breakfast. 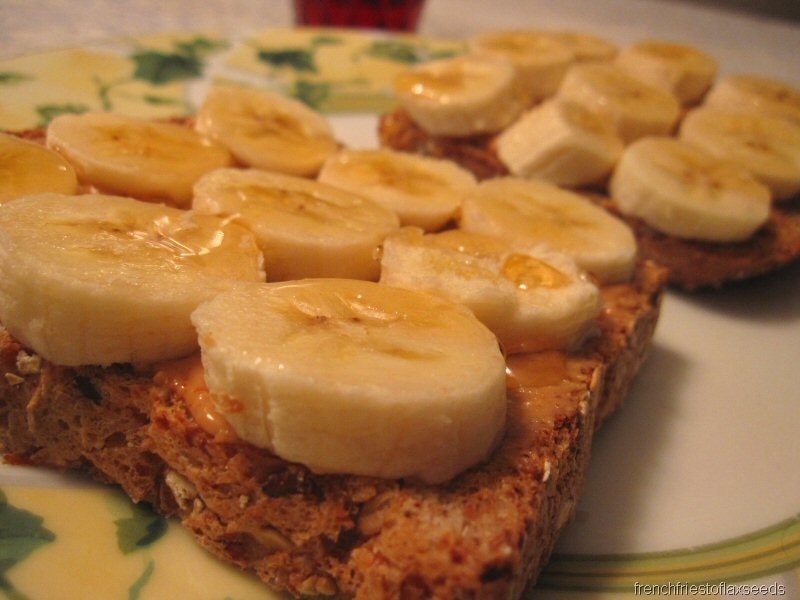 Peanut butter + + honey on toast! 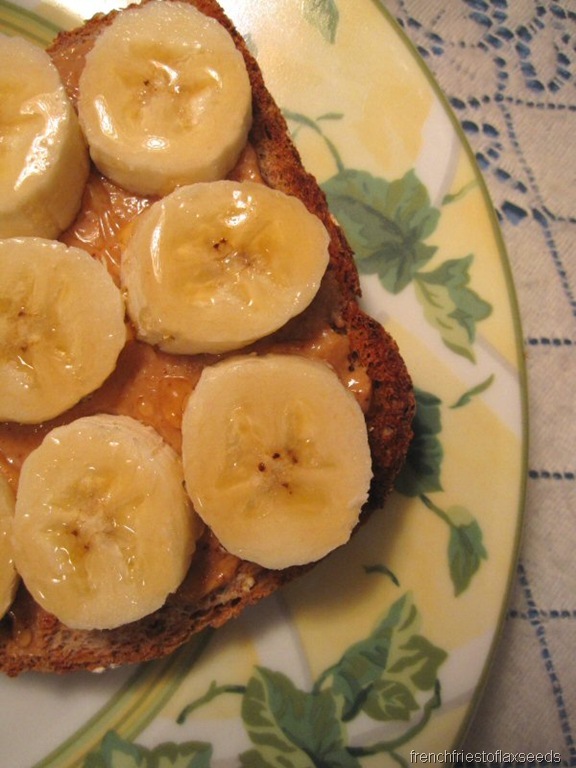 I toasted up two slices of Silver Hills “The Big 16” bread, and topped it with peanut butter, banana slices, and honey. Check out that honey drizzle. 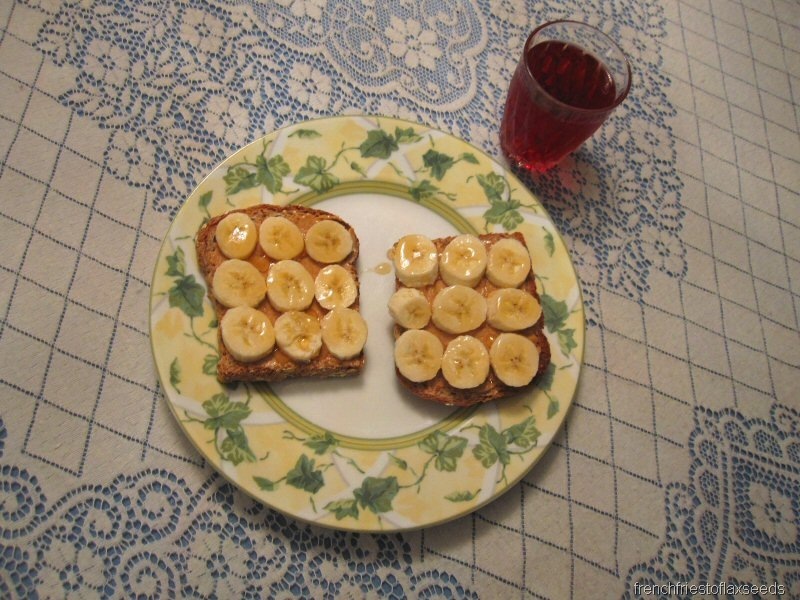 The usual glass of juice – pomegranate cranberry – joined my pb+b+h toast. 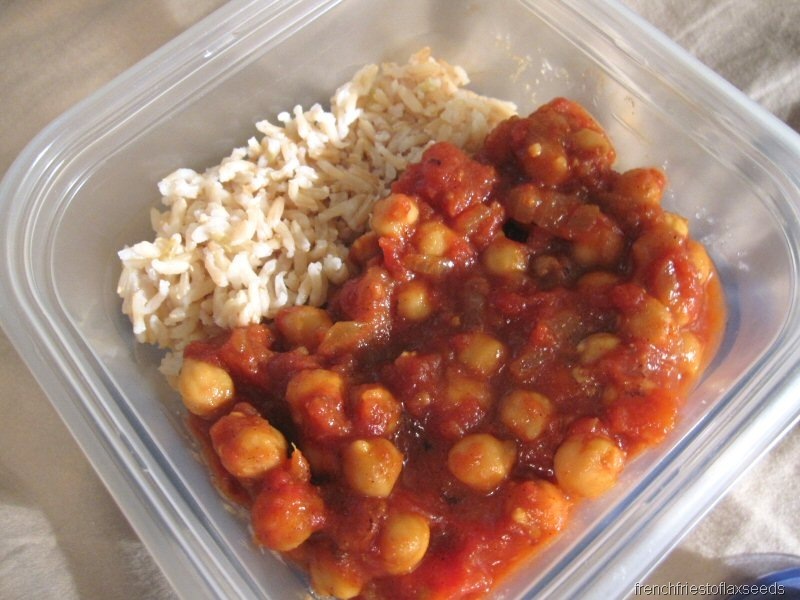 Lunch time came around, and I had more of that delicious chana masala & brown jasmine rice I made earlier this week. And I packed a bag of my custom trail mix to keep me going during my 4 hour lecture this afternoon. I actually wasn’t even that hungry when I got home from school, so I threw together a small plate of food, much like my tasting plate from Tuesday. 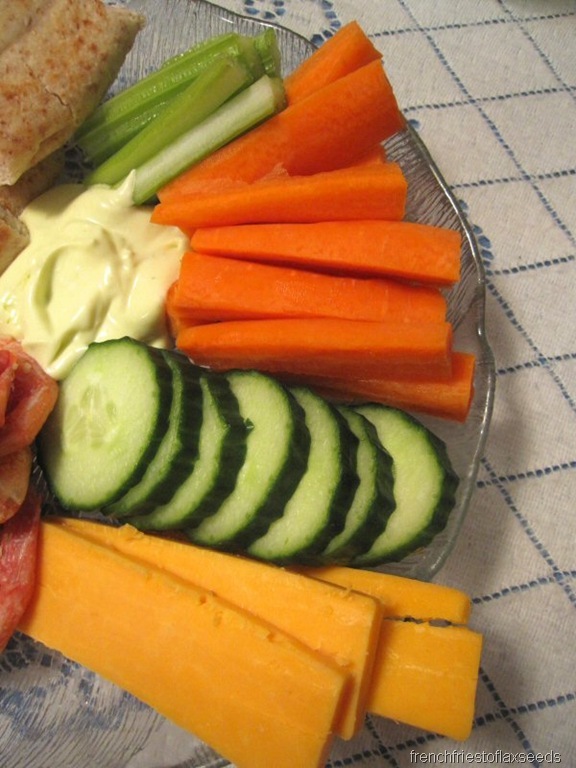 There were veggies already cut up in the fridge, ready to go – thanks mom! I threw in the cheese because, well, I have a cheese problem. Some of those spectacular sweet local shrimp. And the other half of my naan, toasted & wedged. 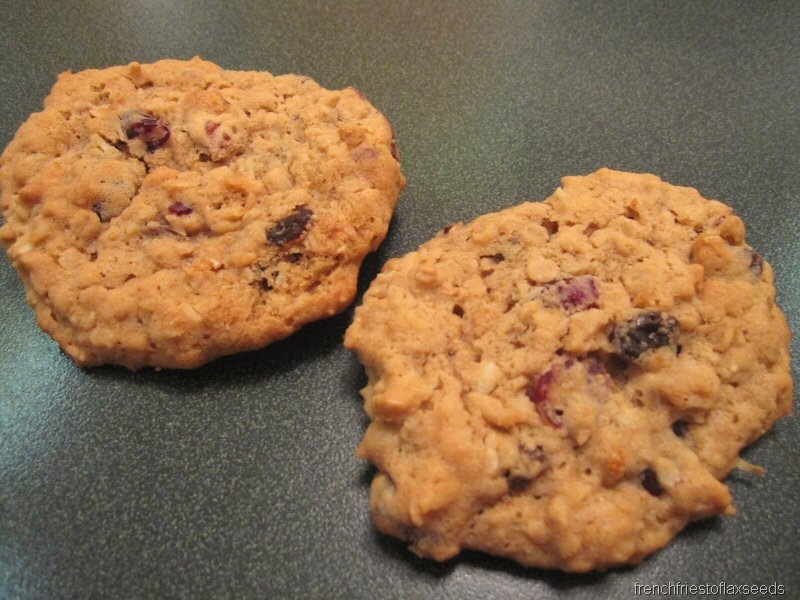 The meal was capped off with two of my mom’s homemade cookies. I think dinner & dessert took me what, 5 min total to put together? If that. Which is interesting, because we were talking in my afternoon class (Land, Food, and Community) about how it’s deemed easier to just stop and pick up some fast food instead of making your own meals at home, and that as students, we just don’t have time to do so. Now, I know I’m preaching to the choir here, but come on – that is just an excuse. I agree, sometimes, it is easier. But it takes very little planning to have a few go-to items in your fridge/cupboard/freezer so that you don’t HAVE to pick up a burger & fries. I think I threw together a pretty good meal. Or even a sandwich – how long does that take? No reason you can’t eat a sandwich for dinner. It was really interesting to hear the perspectives of many of my fellow students in class, because it seems like that is more the norm than my way of thinking, and I guess I just take for granted that everyone would see it my way because of my involvement in this whole food blogging community. That’s all I have for insight tonight. Off to read something intellectual. Night! When I was in Vancouver I walked into Urban Fare and that Big 16 bread was the first thing I saw. I instantly thought of you!!! hahaha oh the blogworld. I wanted to pack a loaf and bring it back with me, but that sounded a little ridiculous. 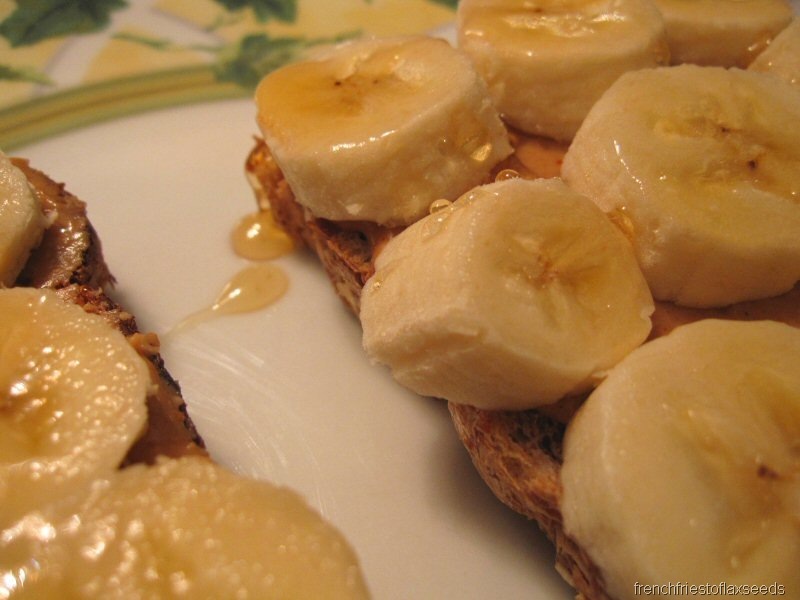 That PB, B, & H toast looks awesome. If you ever want to have a little bloggie package swap keep me in mind hahah! I love your trail mix!! I like to add things to my popcorn too. Sometimes I mix my granola with popcorn, which is a nice treat. Those cookies look great, and I agree with you about making dinner vs. picking it up. It’s not hard to put a good meal together! 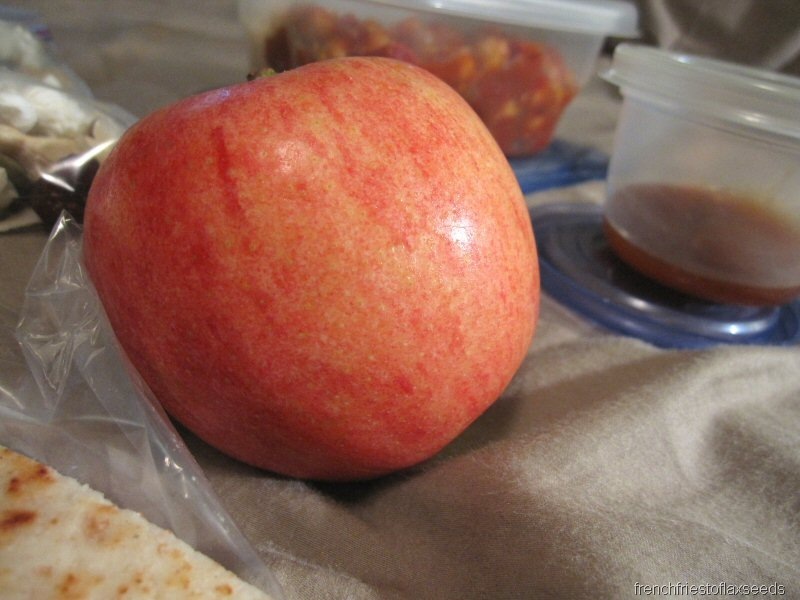 Now if you have picky eaters (children) in the house, that’s one thing, but if you know how to control your child’s eating (in a healthy way) you won’t have a picky eater in the first place! I have to agree with you on the last part of your post. I think grabbing fast food to save time is generally hogwash. 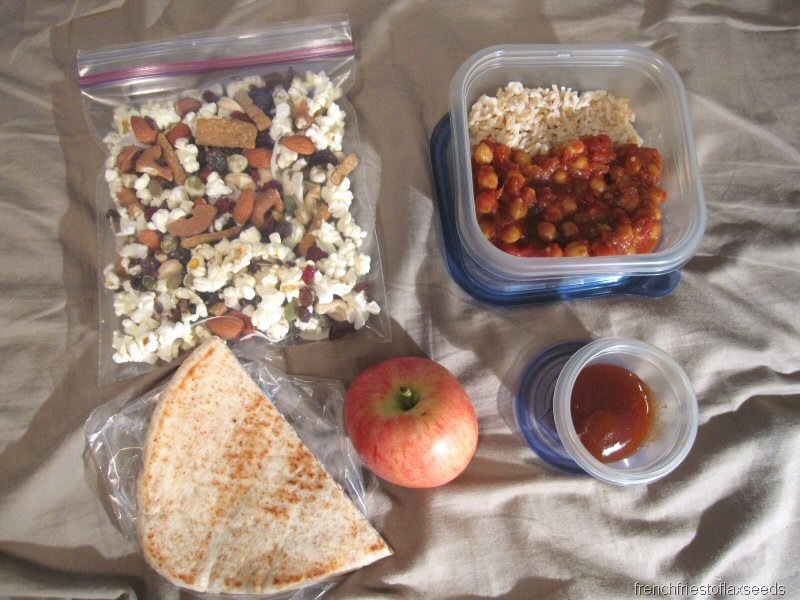 Simple meals do not take long to prepare and if need be, a little planning in advance goes a long way. 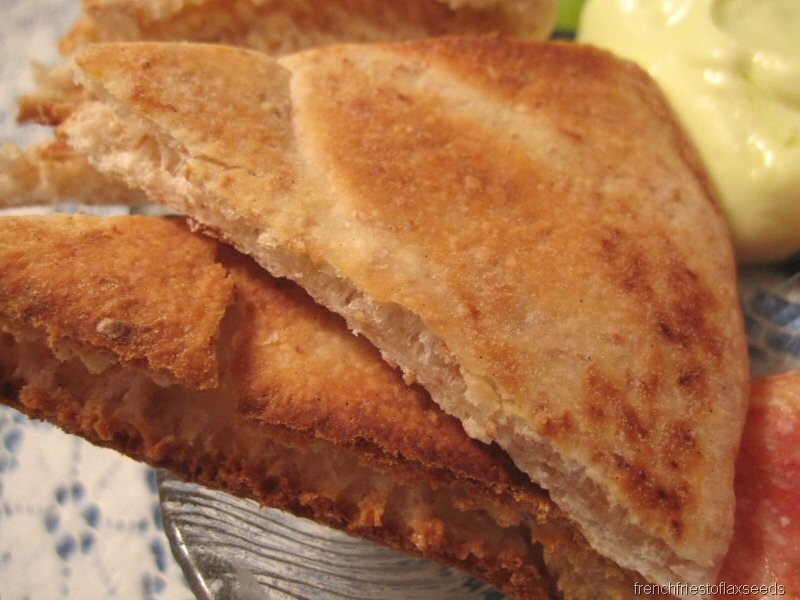 There are nights when we need a fast dinner or get home late for dinner that I make a big omelette or eggs, grilled cheese or make your own subs and the kids are just as happy to eat this way as a full sit down meal. The crock pot is also a lifesaver for my family in the winter for roasts, stews, chili, soups, etc. 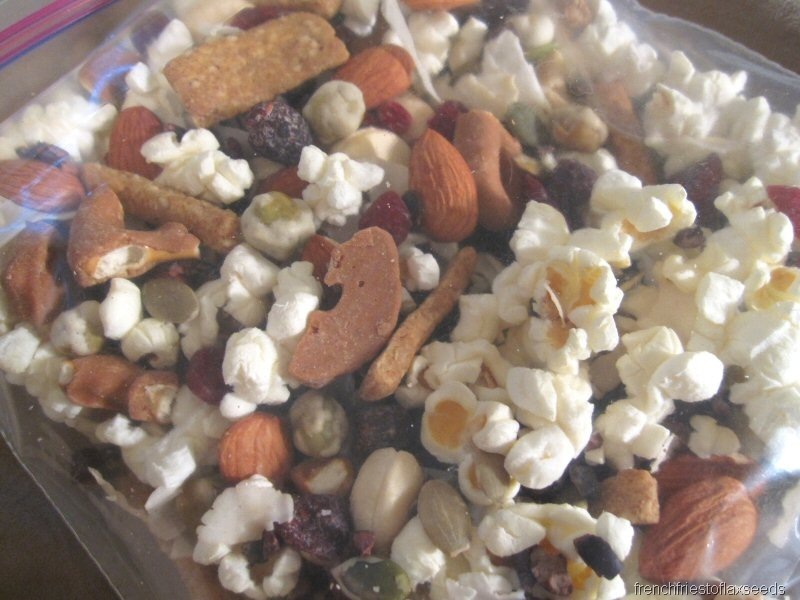 And I can’t forget to mention that I think your trail mix looks most awesome!! I’m thinking of trying something like that, only nut free, for the kids lunches and (with nuts) for Noah’s pre/post hockey snacks. Your breakfast problem reminded me of my bio lab yesterday. We basically had to curdle milk and it was disgusting! I hate when people use time as an excuse for eating fast food (or money to an extent because really how much would it cost per serving to cook up a big batch of soup/beans & rice/whatever). bah fast food is just not appetizing. Yes it might be easy to just stop through the drive thru, but seriously if people took the time out they spend in line and actually just prepared a meal at home, i bet you it would take the same amount of time. indian food!! 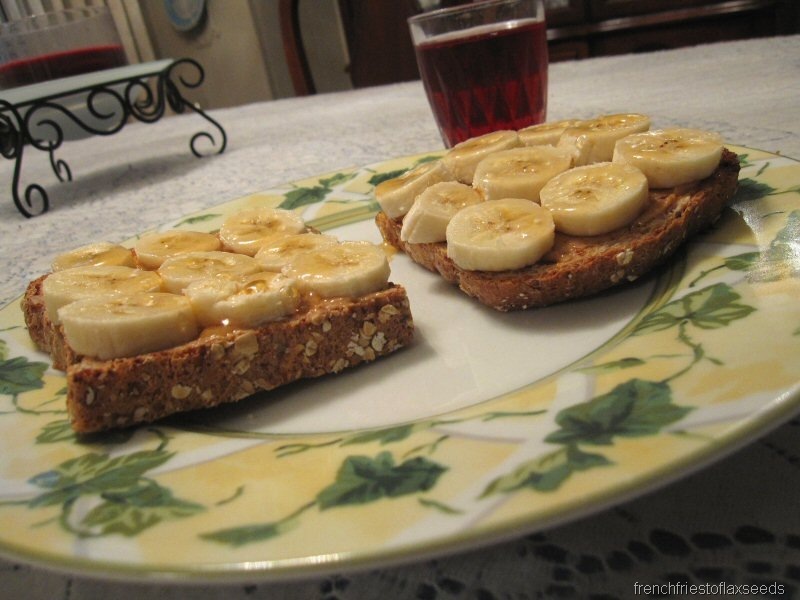 beautiful banana breakfast!! 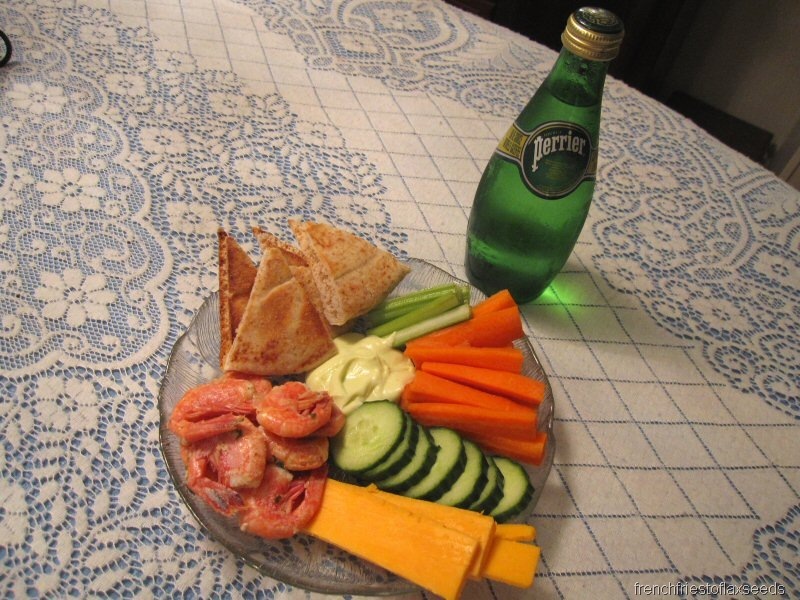 snack plates! 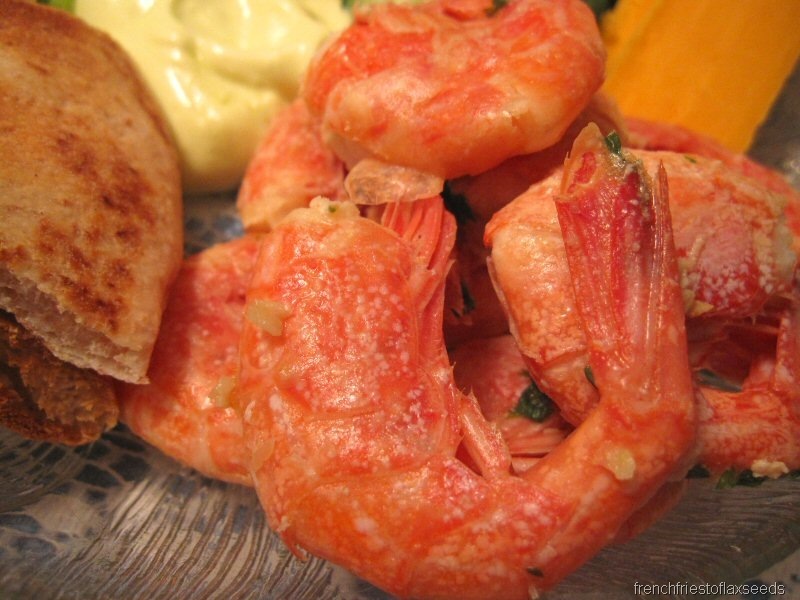 shrimpies!! cookies!! I love it all! !